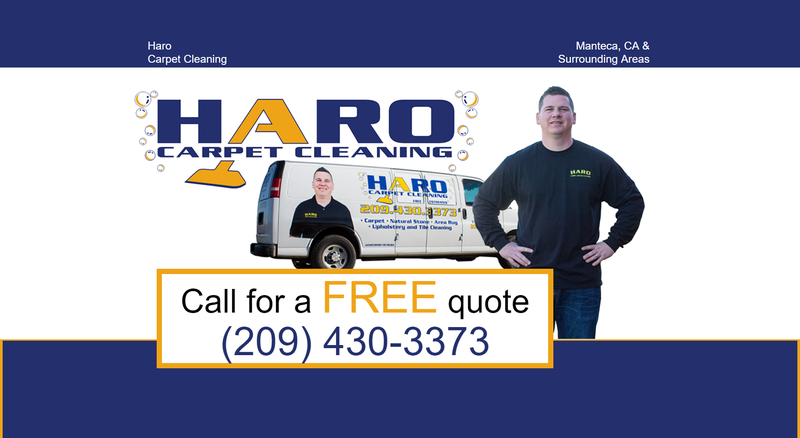 Haro Carpet Cleaning provides the highest quality carpet cleaning and tile & grout cleaning services to residential and commercial customers in Manteca and the surrounding area. We also handle natural stone floors, rugs, and upholstery. We have over 6 years of experience proudly serving Tracy, Lodi, Stockton, Modesto, Sacramento, the East Bay, and beyond. Check out our phenomenal 5-star reviews! Contact us for a FREE estimate at (209) 430-3373 or visit us on Facebook and Yelp.